What would a no-deal Brexit plan mean for your personal finances? With seven months to go until B-day, tensions are ramping up with politicians across parliament questioning the likelihood of reaching a satisfactory deal on Brexit. 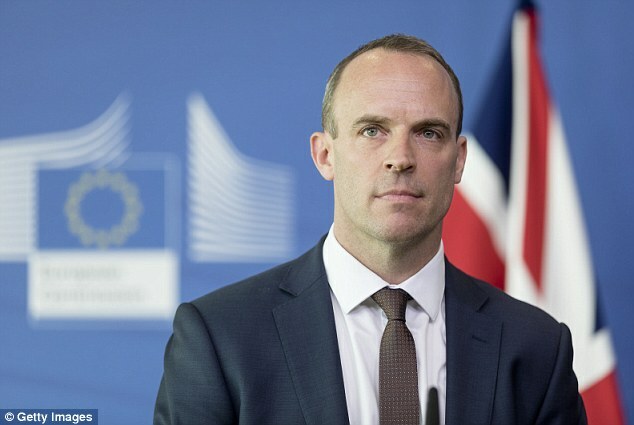 While negotiators continue to battle it out, the British Government has also admitted it is preparing for the possibility that the UK crashes out of the EU next March with little or no agreement on trade with the rest of Europe. As part of this preparation, last month saw the publication of 25 positioning papers outlining the no-deal Brexit effect on a range of sectors from nuclear research funding and the treatment of organically produced food to stockpiling medicines. 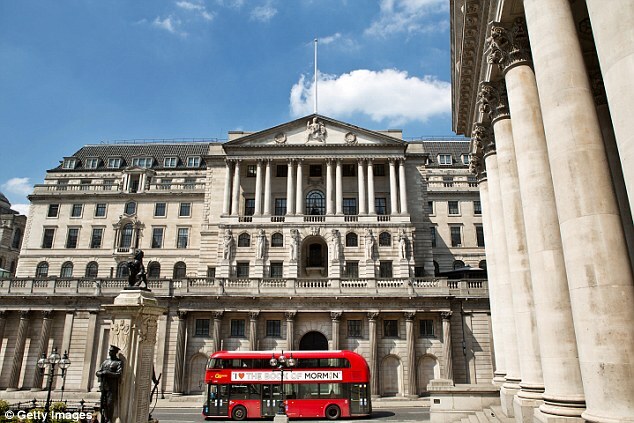 Among these papers – the first of many set to be released over the coming weeks – was a guidance note for all financial services companies operating in the UK and British firms operating in the European Economic Area. No deal on Brexit means Britain gets back control of its financial services – but is there a cost? It’s dense and full of jargon but that doesn’t mean it isn’t also full of vital information for every single person with a mortgage, pension or savings in the UK. To help you work out how you could be affected, This is Money has pulled together the basics on what no-deal Brexit would mean for your personal finances. Who would be affected by no-deal? The Government has said that European companies offering UK-based customers a service can keep doing that after 29 March 2019. UK companies offering services to UK customers will carry on as normal under UK law. Most of the laws affecting UK financial services will stay pretty much the same as European laws are at the moment. Where a UK company provides services to EU-based customers – whether British expats or not – they may be able to keep doing this after Brexit. Their ability to do this will depend on two things. 1. If the EU agrees to let them, then nothing will change. Currently, the EU hasn’t agreed this. 2. If they establish an EU-based subsidiary, they could potentially keep providing these services to EU-based customers under European law through that. But this could be complicated if EU countries decide they don’t like this approach. If neither of these things is agreed by 29 March, then customers based in the EU won’t be able to access the services of UK-based firms. Customers in the UK who use financial services provided by a European firm may also have problems if there’s no deal, but not immediately. There’s a three-year grace period starting on 29 March 2019 during which EU providers of financial services to UK customers can keep providing these legally without direct authorisation from the UK regulators. During this time, the idea is that they’ll apply for UK authorisation and get it (they hope). So for these customers, there shouldn’t be any change. Following the publication of these papers Chancellor Philip Hammond immediately warned that no-deal on Brexit could wipe up to 10 per cent off the UK’s national income. He also said it would have ‘large fiscal consequences’ for Britain and could mean an extra £80billion of borrowing. Theresa May quickly dismissed his forecasts, insisting no-deal would not be the ‘end of the world’. The official analysis notes: ‘The UK is a major centre for investment banking in Europe, with UK investment banks providing investment services and funding through capital markets to business clients across the EU. This is not just the case for investment banks. Pension providers, insurance companies and personal banking services will all be in the same position. Britain is clearly keen to avoid a halt in offering its banking services in Europe but the Government still needs European negotiators to agree to allow UK operators to trade with European firms in the way they do now for that to be achieved. As a result – and regardless of a deal – many UK financial services firms which currently operate in Europe are already taking independent steps to ensure that they could continue after exit. The most obvious way is to establish a new EU-authorised subsidiary. This would allow the UK firm to offer new services after exit through this subsidiary, and in some cases existing contracts could be transferred to the new entity. What does no deal mean for investors? At the moment European customers and firms can trade equities and derivatives at any EU designated market ‘venue’. But in a no-deal scenario, UK-based trading venues will stop being EU approved. This means it’s technically possible that some European companies and investors might not legally be allowed to trade on UK markets such as the London Stock Exchange. This is because individual European countries have their own laws which prescribe where their citizens and firms can trade. It’s important for both the UK and Europe as the UK is currently home to many markets that don’t exist anywhere else in the EU. So if there’s no deal, both European and UK markets may be disrupted. No deal could also have implications for individual investors. UK firms providing investment services in the European Economic Area may have to stop on 29 March, causing obvious problems for EU-based investors who might lose access to their accounts until a solution is agreed. But it could also pose difficulties for UK-based investors. This is because under EU legislation, it is possible for UK fund managers to delegate portfolio management services to a third party in another country. If your fund manager delegates to an EU-based servicer then your account could be affected by a no-deal. In extremis, this could mean UK investors might lose access to their accounts until a solution is found. The Government has warned that unless Europe agrees a deal, Britain’s hands are tied when it comes to funds and managers that are authorised under certain EU legislation. They’ve told asset managers to plan on the basis that there will be a deal, but they have also raised the possibility that the EU could confirm it does not intend to put in place the legislation needed to allow UK-based firms to operate in Europe in the same way other non-EU countries do. What does no deal mean for pensions? The Government has admitted that UK expats living in the EU might not be able to access financial services from UK providers that don’t have an outpost in Europe if there’s no deal by 29 March 2019. It will depend on the country they live in. For example France, Spain and Luxembourg have already said independently that UK firms can to pay pensions to existing customers living there. 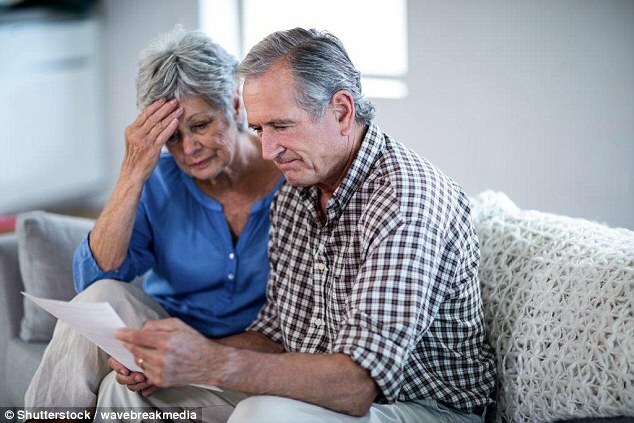 Britons living in EU countries where there’s no independent agreement and collecting their annuity from a UK provider could potentially stop receiving it, because the company will be breaking European law to keep giving it to them. They’ll also be breaking UK law by not continuing to provide it. This is the worst-case scenario and the British Government has said it’s doing everything it can to work with EU negotiators to avoid this outcome. But simply put, there is not yet any confirmation from Europe that it’s prepared to allow UK financial services firms to continue to provide their services in the European Economic Area after Brexit unless they also have a subsidiary on the continent. 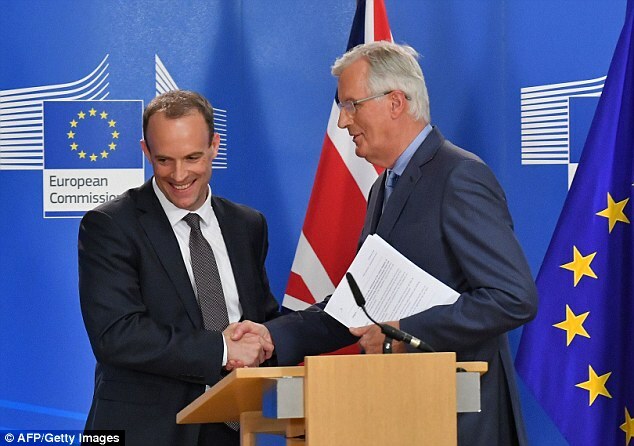 What does no deal mean for mortgages? Most homeowners in the UK have mortgages with UK-based lenders. So even if there’s no deal, there wouldn’t be a change for them. However, there might be knock-on effects on the price of mortgages in the future. As explained above, if companies and individuals find it hard to trade in the way they do now because of restrictions after Brexit, this could put pressure on UK lenders’ funding. Banks and building societies borrow money in a variety of ways in order to be able to lend out mortgages. They take savings deposits, they get funding from the Bank of England and they borrow money from each other on the ‘money markets’. The cost for banks of borrowing like this depends on various factors but how much money is available to be borrowed – liquidity – is one of the most important. This is the bit of the Government paper that is relevant here: ‘Without action from the EU, when the UK leaves the EU, UK trading venues would no longer qualify as EU trading venues. ‘This means that, under their national law, firms may not be able to be members of UK venues. UK venues will also not be eligible venues for firms to execute certain equity and derivatives trades. Quite apart from this posing problems for investors, this means that the pool of money available to UK banks would shrink; they wouldn’t be able to trade certain funding instruments with EU banks anymore. Crudely put, that means the cost of money will go up and banks and building societies that rely on this form of funding will put their mortgage rates up. This also goes for landlords with a buy-to-let mortgage. Their costs will go up and it is likely they’ll charge more rent to cover them. 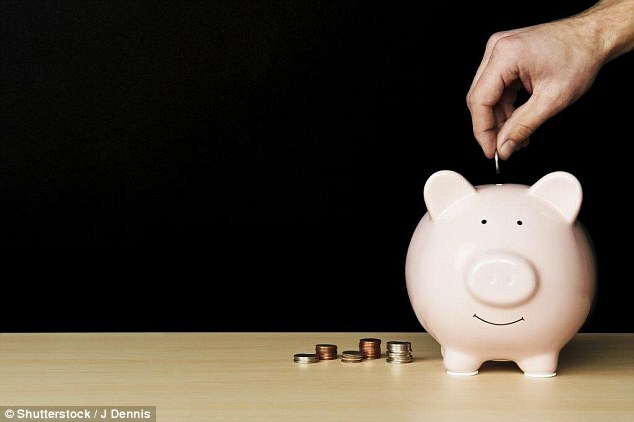 What does no deal mean for savings? 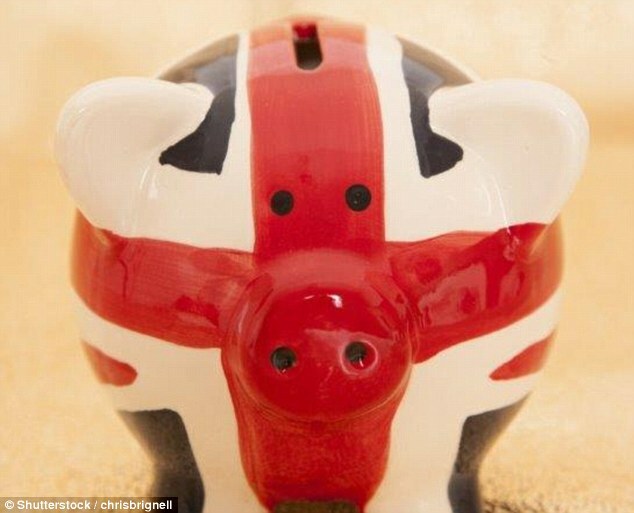 If your savings are in a UK bank or building society, you shouldn’t see anything change. If they’re with a provider based in the EU and that doesn’t have a UK-based subsidiary, then you’ll need to keep an eye on things. The UK’s savings safety net, the Financial Services Compensation Scheme, protects money held by customers of UK-authorised firms when firms go bust, including some products with EEA firms. But for savings held in those EEA firms, protection rights under the FSCS aren’t yet clear. The Government has said regulators are due to consult this autumn on arrangements for coverage to continue. What does no deal mean for spending in Europe? The Government was most explicit about this in the papers. If there’s no deal on Brexit, then using your credit or debit cards in the EU will be more expensive. This is because of the complex system of payments and clearing that sits behind us spending on plastic. UK-based payments providers work with our banks, building societies and credit card providers to make payment transfers happen for a certain cost. Currently, that cost is regulated by various laws in Europe. If there’s no deal, then these laws won’t apply, so costs are likely to go up as there will be no law to prevent providers from charging more to UK customers. The Government is very keen to avoid this but it’s really up to Europe what happens next. So should we be preparing for no deal? The Government has been very keen to emphasise that we should assume there will be a deal. In fact, it signs off this paper by saying: ‘This notice is meant for guidance only. The Government has been very clear on its position on this. Act like there will be a deal. ‘You should consider whether you need separate professional advice before making specific preparations. ‘It is part of the Government’s ongoing programme of planning for all possible outcomes. The reality is that with so little certainty about what any deal will end up looking like, it’s very difficult to plan in advance. 1. If your current account is with a European bank, it might be a good idea to open another account with a UK-based provider so you know you can access your cash in a crisis. 2. 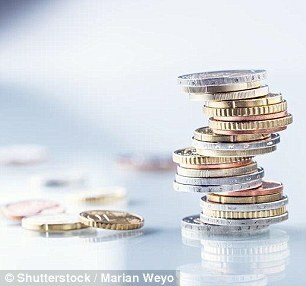 If you’re dithering about when to remortgage, don’t delay it any further. Mortgage rates are rock bottom at the moment and it’s likely to save you money. Leaving it to see whether they fall any further is a gamble. 3. If you’re not sure whether your provider is based in Europe or has a UK-based subsidiary, you can check with them directly. If the latter, then your accounts won’t be affected by a no deal. 4. If you’re a British expat living in the EU and you’re worried about your UK pension, any insurance policies you hold in the UK or loans you may have, you’ll need to keep a close eye on how the negotiations develop. Check how your providers operate and whether they have an EU-based subsidiary. 5. As ever, the same advice applies today as much as it will in seven months’ time when Brexit finally arrives: if you’re making a big financial decision, do your research and consider taking financial advice from a fully regulated whole of market adviser.